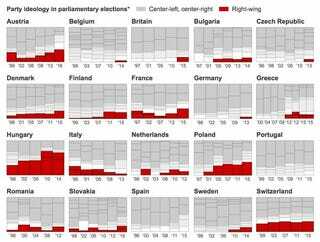 I found this chart showing the extent to which various European countries are drifting far-right politically. As I didn’t feel like starting some return-to-fascism thread this early in the morning, it’s an open thread instead. Do what you want shall be the whole of the lol.